Dont look at the carpet; I drew something awful on it. : How many Polaroids? 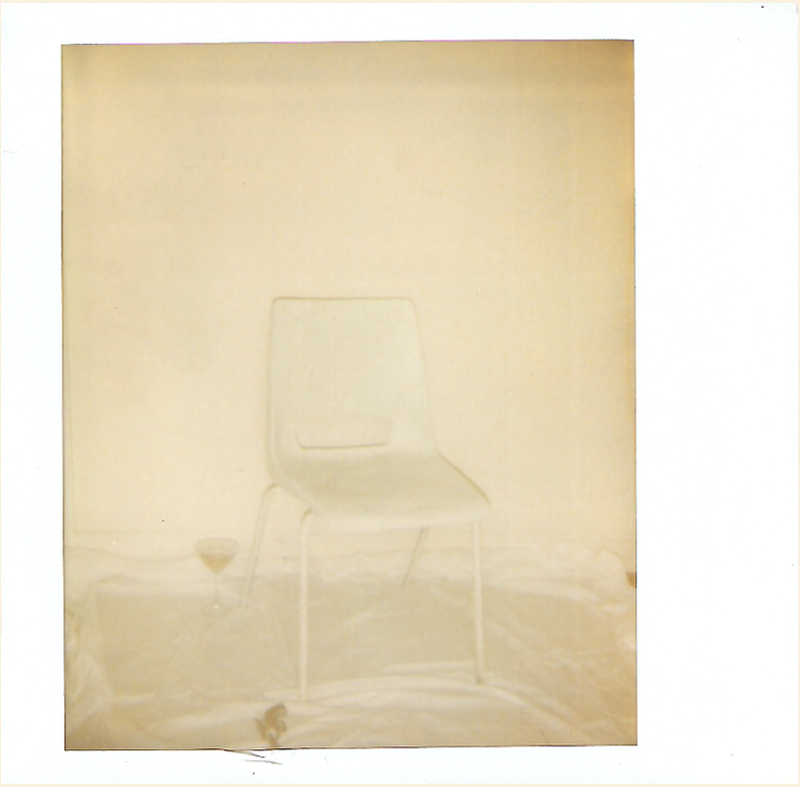 I've been working with Polaroid’s for some time. Originally I used them to sketch from for paintings but went over to photography once I started experimenting with in camera effects. My practise is to take memory, personal or public and re-enact repetitively using found objects or bits of old tat that I tinker together into props, costumes or sometimes installations and develop into self portraits. Time is as ever in short supply, studio time is grabbed after work with only a few hours to spare. 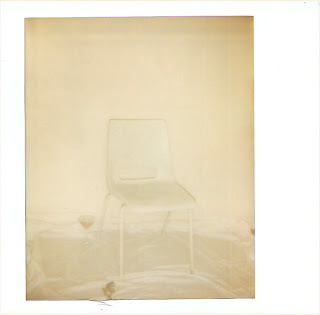 The work develops through these private performances / sittings almost as a stream of consciousness or play and I've found the Polaroid is the perfect camera for me for recording this, any other camera and it feels stilted, posed but with the Polaroid it adds its own element of chaos bringing up unexpected but welcome surprise.. I already had work in mind for this publication project called 'Cocked Hat' however I wanted to use this book as an opportunity to give myself a new objective and develop new work.